Over the next few weeks I'd like to show you something. 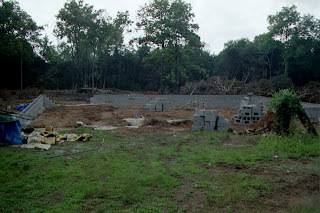 In 2003, we started building our own house. We did about 75-80 percent of the work ourselves. We had someone do the foundation, framing and roofing...then we took over the rest. It's been an adventure!